I think I discovered one of my all time favorite Essie polishes this Spring. I coveted this polish for almost a year before I finally got my hands on it. 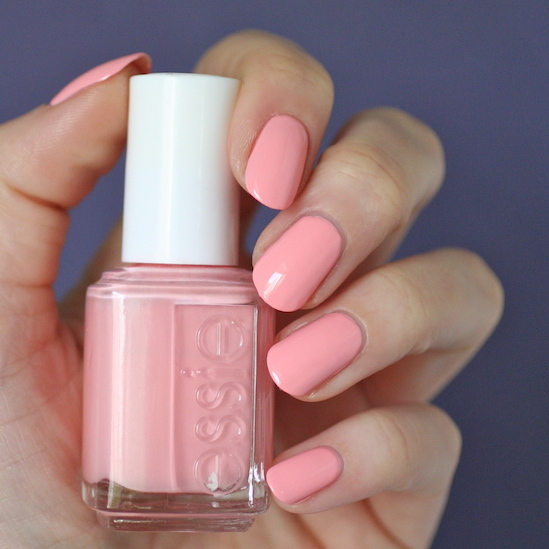 Essie Van D'Go was released in the Spring 2010 Art of Spring Collection. Up until the last few months, it was really hard to find in Canada. I ordered this bottle on nailpolishcanada.com but then also discovered Shopper's Drug Mart re-did their Essie display which now includes this beauty. 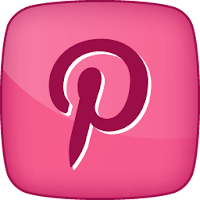 The color is a creamy pale peach-pink. The pink in this makes it wearable on any skin tone I think. I had worried this would be one of those colors that look totally bangin' on girls with a tan but look horrible and stupid on pale white skin like mine. As you can tell by my photos, sometimes the pink tones come out more and sometimes the peach tones do. The color is just gorgeous all around. The formula on this polish is nice too. Two creamy coats and I was good to go. Every time I put this polish on, I fall in love all over again. It's such a flattering color and so perfect for the Spring and Summer. 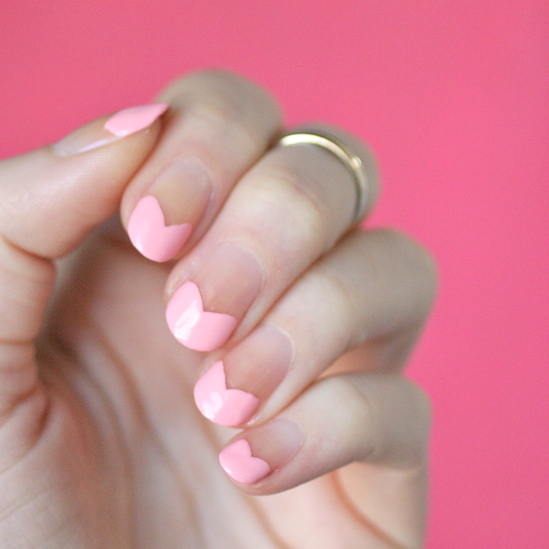 Here's a sweetheart nail art look I did with Van D'Go. 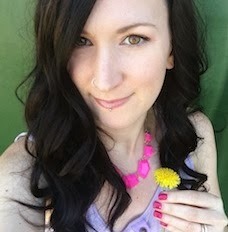 This is pretty much my fave Spring color right now. 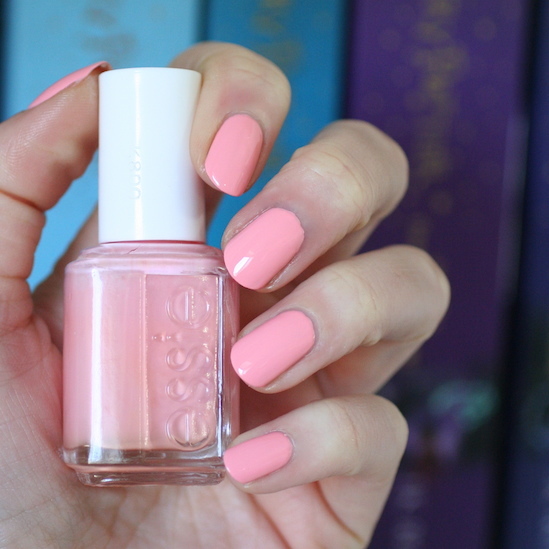 And possibly one of my favorite Essie polishes ever.